KENNEDY SPACE CENTER, Fla. — A decision on what engine will power United Launch Alliance’s next-generation Vulcan rocket could be pushed back until next spring depending on the timing of a key engine test, ULA’s chief executive said Sept. 8. In an interview here shortly before the successful Atlas 5 launch of NASA’s OSIRIS-REx asteroid sample return mission, Tory Bruno said a decision on whether to use the BE-4 engine under development by Blue Origin was pending a full-scale engine test that had been expected by late this year. “That may occur by the end of the year, but I could see it moving into the spring a little bit, to make sure we have enough test data and we feel confident about where we’re at,” he added. He emphasized that the BE-4 remained the “primary path” to be used on the first stage of the Vulcan, ahead of the AR1 engine under development by Aerojet Rocketdyne. “They’re out in front,” Bruno said of the BE-4. Bruno also confirmed that development of Vulcan is still being approved on a quarterly basis by ULA’s board of directors, comprised of executives from its corporate parents, Boeing and Lockheed Martin. Those regular reviews, he said, have not posed a problem for work on Vulcan. 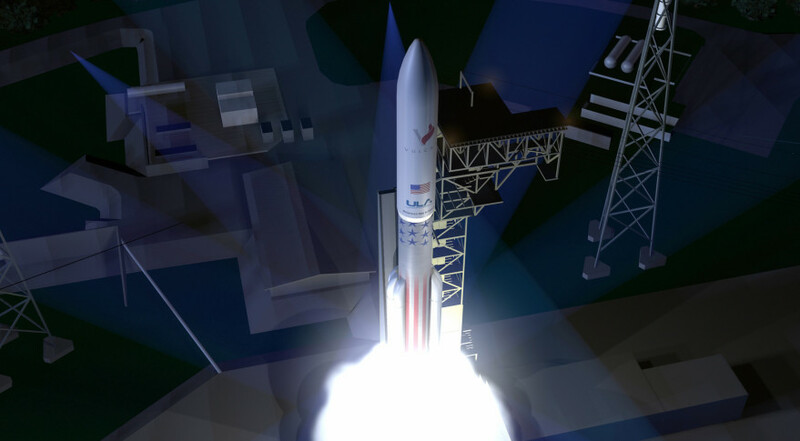 Key to Vulcan’s development is ULA’s ability to continue to win contracts for its existing Atlas and Delta vehicles. ULA did win in August two sole-source awards for Delta 4 Heavy launches for the National Reconnaissance Office in 2020 and 2023, a deal with an estimated value of $700 million. However, Bruno said that upcoming head-to-head competitions with SpaceX were also critical to ULA. ULA declined last year to bid on the first EELV competition, for a GPS 3 satellite. Bruno said that two of the issues that kept ULA from bidding, a lack of available RD-180 engines and what he called “very strange” accounting requirements, have both been resolved. A third obstacle to bidding, and one that remains today, is the use of selection criteria based only on price. “I don’t personally have any experience with that applying to space or space launch, which is a complex, high-risk kind of endeavor. The events of last week, I think, highlight that,” he said, a reference to the destruction of a SpaceX Falcon 9 on the pad Sept. 1 prior to a static-fire test. That emphasis on price remains in the request for proposals issued by the Air Force in August for a second GPS 3 satellite launch, but Bruno suggested ULA will still submit a bid by the Sept. 19 deadline. “It’s my strong desire to participate in every competition that I can and I’m qualified for,” he said, declining to go into more details because of the ongoing competition. Bruno also said he is working to make more inroads into the commercial launch market with the Atlas 5, particularly since the recent Falcon 9 failure and delays in the Proton launch vehicle caused by a June launch anomaly have constricted the supply of launch vehicles available for commercial missions. Two commercial Atlas 5 missions are scheduled through the end of the year, including the Sept. 16 launch of DigitalGlobe’s WorldView-4 satellite and an EchoStar satellite planned for launch in December.